Environmental law governs any environmental issues regarding individuals, businesses, and government entities. Environment law includes regulations and cleanup regarding hazardous or chemical materials and the consequences of individuals who violate environment statutes; it provides environmental protection for prospective purchasers of environmentally impacted property; and environmental law policy prohibits the dumping of toxic waste or other hazardous materials in our lakes, rivers, streams, and public land. Send your environment claim to a Lawyer who will review your claim at NO COST or obligation. Environment law covers a broad area of the law that regulates the statutes concerning the environment. Backed by these laws, individuals or groups can bring attention to environmental problems or violations and take action with the help of environmental law firms. In 1970, The National Environmental Policy Act (NEPA); the Environmental Quality Improvement Act; and the National Environmental Education Act were passed; and the Environmental Protection Agency (EPA) was created. The main objective of these federal acts was to ensure that the environment is protected against both public and private actions that failed to take account of costs or harms inflicted on the eco-system. The NEPA mandate is to force governmental agencies to consider the effects of their decisions on the environment, while the U.S. Environmental Protection Agency (USEPA or EPA) functions to monitor and analyze the environment, conduct research, and work closely with state and local governments to devise pollution control policies. Environmental laws have been put into place by both state and federal ruling and are enforced by the EPA. The EPA is responsible for implementing and enforcing laws and regulations and environmental statutes that have numerous requirements and are governed by various agencies. Backed by these laws, environmental law firms can help individuals or groups wishing to take action regarding environmental problems or violations. For instance, The Department of Justice, on behalf of the EPA, filed a civil lawsuit against Volkswagen in January 2016, claiming that approximately 600,000 diesel engine vehicles had illegal defeat devices installed that impair their emission control systems and cause emissions to exceed EPA’s standards, resulting in harmful air pollution. EPA filed a similar civil suit under the Clean Water Act and Oil Pollution Act, including economic-damage claims from regional authorities against BP after the 2010 Deepwater Horizon offshore oil spill. BP agreed to pay $20.8 billion to resolve government civil claims. In 2012, BP agreed to plead guilty and pay $4 billion in a separate criminal investigation. EPA rules that took effect in 2015 led to a closing of coal ash basins. Because of the new rules, Duke Energy pleaded guilty to criminal violations of federal water pollution laws and agreed to pay $102 million in fines and remediation. The EPA is charged with administering all or a part laws and executive orders help to protect human health and the environment. EPA’s New Source Review initiative under the Clean Air Act (CAA), with special emphasis on coal-fired electric generating plants, pulp and paper manufacturing facilities and similar operations; enforcement action against petroleum pipeline operator alleging violations of the Clean Water Act (CWA), the Hazardous Materials Transportation Act (HMTA), and the Oil Pollution Act of 1990. Here is a list of major U.S. federal laws pertaining to the environment from the NRDC (National Resources Defense Council), one of the most powerful US environmental groups. The EPA may require testing of substances by manufacturers and notification of the use of new chemical substances. Extensive reporting and record-keeping is required by industry users of toxic substances. In addition to generally regulating toxic substances, the Act contains specific provisions concerning asbestos, PCBs (polychlorinated biphenyls), and radon gas. The provisions concerning asbestos require inspection of school buildings, development of asbestos management plans by schools, and training and accreditation of contractors who deal with asbestos. The provisions concerning PCBs phase out the use of these substances. The provisions concerning radon require providing the public with information concerning the hazards of radon gas accumulation in buildings. The Comprehensive Environmental Response Compensation and Liability Act (CERCLA), provides for the cleanup of sites polluted by toxic and hazardous wastes. CERCLA creates the environmental Superfund, which is used to finance governmental cleanup activities. Under CERCLA, federal and state governments, as well as private parties, may sue anyone responsible for the generation, transportation, or disposal of hazardous substances. CERCLA imposes strict liability for the costs of cleaning up hazardous substances, subject to very limited exceptions. CERCLA liability is also "joint and several" liability, meaning that a party who is only partly responsible for hazardous wastes may potentially be responsible for paying the entire cost of the cleanup. CERCLA gives the EPA the authority to determine which waste sites should have priority in cleanup efforts. Under this authority, the EPA publishes a National Priorities List, ranking the worst hazardous waste sites in the country according to their priority in need for cleanup efforts. Only hazardous waste sites included on the list may utilize federal Superfund monies for cleanup. As oil and gasas production expands nationwide, largely because advanced hydraulic fracturing (also known as “fracking”) has made it easier to extract oil and gas from previously inaccessible sites, new rules and regulations have been issued. Gas and oil leaks are increasing and fracking lawsuits are on the rise. The EPA, which has authority to limit emissions of some pollutants released during the fracking process, issued new rules in 2012 to limit emissions of some air pollutants from fracking. Fracking has also raised concerns about contaminated drinking water supplies, increased air pollution, toxic waste disposal, impairment of rivers and streams, and destruction of landscapes and wildlife habitat. The final rule in 2015 regarding oil and gas; fracking on federal and Indian Lands is a major step toward protecting drinking water resources in some of the most heavily drilled parts of the country. Clean Air Act The EPA has authority to limit emissions of some pollutants released during the fracking process. The agency issued new rules in 2012 to limit emissions of some air pollutants from fracking. Environmental advocacy groups such as the Natural Resources Defense Council ( NRDC) oppose expanded fracking until effective safeguards are in place. The environmental group Center for Biological Diversity (CDB) filed a lawsuit in July 2015 against the state of California’s oil agency for not incorporating certain information into its fracking rules. That information included warnings of the risks fracking poses to drinking water and the environment. Clean Water Rule The Clean Water rule, finalized in May 2015 protects the streams and wetlands that form the foundation of the nation’s water resources from pollution and degradation. Clean Power Plan President Obama and EPA in August 2015 announced the Clean Power Plan. The Final Carbon Pollution Standards for New, Modified and Reconstructed Power Plants was finalized by the EPA to cut carbon emissions from new, modified and reconstructed power plants. It was regarded as a huge step in reducing carbon pollution from power plants, and taking "real" action on climate change. On February 9, 2016, the Supreme Court stayed implementation of the Clean Power Plan pending judicial review. Hazardous Waste The EPA Administrator signed the proposed Management Standards for Hazardous Waste Pharmaceuticals Rule August 2015. Climate Change/Global Warming President Obama's Climate Action Plan was announced in June 2013, followed by the Strategy to Reduce Methane Emissions in March 2014 and Methane Strategy for Oil and Gas Sector in January 2015. A toxic tort is a particular type of personal injury lawsuit brought against the manufacturer or supplier of a chemical product which causes a toxic injury. Claims usually arise from exposure to pharmaceutical drugs or occupational exposures, such as exposure to benzene (e.g., found in methane gas, such as the Porter Ranch gas leak), which has been linked to leukemia. Toxic Tort and Environmental Litigation typically involve actions for emergency or injunctive relief, stop orders, site investigations, demands for information, notices or violation or non-compliance, and more. Environmental lawyers also assist the public by evaluating possible insurance coverage, medical coverage, help with relocation and evaluate the prospects and risks of settlement or mediation of the dispute. For instance, attorneys assisted Porter Ranch residents in relocating to suitable housing during the SoCal gas leak. Pharmaceutical toxic tort cases are generally product liability cases—the drug being the defective product. They are often litigated against drug manufacturers and distributors, as well as prescribing physicians. Most all pharmaceutical toxic injury cases are mass tort cases, because a toxic drug is likely consumed by thousands of people. Occupational toxic tort cases differ from workers' compensation claims because they are not brought against the employer. Rather, they are brought against "third parties"—usually manufacturers or distributors of chemicals; the machines or devices that expose the worker to the chemicals; and/or the owners and lessors of premises where the worker was exposed to the toxic chemicals. Asbestos exposure is the most common toxic tort litigation in this area but also difficult to prove because the onset of asbestos-related illness such as mesothelioma can develop years after exposure to asbestos. You can also be exposed to toxic chemicals in your home. 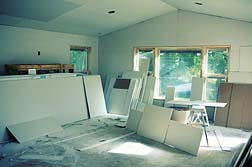 Toxic tort litigation covers mold contamination, construction materials such as formaldehyde-treated wood and carpet, lead paint and Chinese Drywall. As well, litigation can involve a consumer product: for example, leukemia claims from exposure to gasoline. For instance, if you rent an apartment in a building containing a toxic material, residents can bring about a toxic tort and your landlord may have to pay for any injuries incurred. Environmental toxic tort litigation is on the rise, particularly against corporations spilling toxic materials. Industrial manufacturing facilities and refineries have been cited for alleged violations of California OSHA General Industry Safety Orders and federal OSHA regulations. An environmental contamination case was brought about by more than 1000 residents of Hildago County, Texas, who claimed exposure from releases at a former pesticide warehouse. A small town in California brought about a toxic tort against a major railroad that allegedly released anhydrous ammonia into the air. Product manufacturers have been accused of exposing the public to chemical concentrations in excess of "maximum contaminant levels," in violation of The Safe Drinking Water and Toxic Enforcement Act. You were exposed to some type of hazardous material. The hazardous material caused an injury or illness (such as cancer); birth defects or some other illness. If a company should have to pay for that injury, you have to prove a theory of liability, or give the judge a legal reason why the company should have to pay for what happened. An experienced toxic tort attorney can help you determine whether you have a strong toxic tort case by choosing a theory of liability, and assisting you to build evidence that can prove toxic exposure caused you harm. Brownfields are of great concern to environmental agencies. They are industrial and commercial sites that are either unused or abandoned because questions have been raised regarding their need for environmental cleanup under CERCLA or other environmental statutes. The EPA defines a brownfield as “a property, the expansion, redevelopment, or reuse of which may be complicated by the presence or potential presence of a hazardous substance, pollutant, or contaminant. And cleaning up a brownfield often results in the removal of a potential threat to human health or the environment. Federal and state programs have provided incentives that encourage state and local governments to voluntarily cleanup and reuse many Brownfields. California’s brownfields differ from those in the Northeast/Midwest United States, largely due to the more recent onset of the industrial revolution in the State. Former manufactured gas plants, and remnants of the computer industry are some key examples of California’s “newer" brownfields. Additionally, many ”rural” areas in California have significant brownfields problems, e.g., lumber mills. Numerous states have environmental statutes that differ from federal statutes. If the federal statutes provide more extensive environmental protection, the provisions of state statutes are usually pre-empted by the federal legislation, requiring the more stringent federal standards to be applied in the state. Conversely, many states have more stringent environmental laws than federal law. If that is the case, more stringent state statutes must be followed unless it is determined that the federal enactment was intended to pre-empt more stringent state laws. For example, the state of New York in June 2015 banned hydraulic fracturing after almost seven years of study that determined fracking’s effects on water, air and soil are inconsistent, incomplete and raise too many red flags. Democratic Governor Andrew Cuomo followed the advice of the health department and the ban was hailed by environmentalists. Along with the EPA and other federal agencies, every state has an agency responsible for pollution control, and the type and extent of state regulation vary. Although the EPA has delegated the majority of federal environmental laws it administers to state environmental agencies, when the EPA delegates a program to a state, it retains oversight authority over that program. California has numerous stringent environmental laws, including an environmental advertising law restricting the representation of products as being environmentally friendly, recyclable, or biodegradable unless certain standards are met. Many lawsuits have been filed against agencies for failure to analyze GHG emissions generated by projects subject to the California Environmental Quality Act (CEQA). 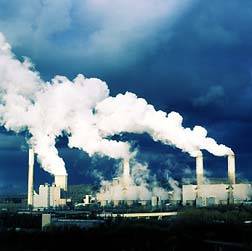 The CEQA Guidelines were revised on December 30, 2009, requiring projects subject to CEQA to consider potential environmental effects caused by GHG emissions. An environmental class action lawsuit filed on behalf of hundreds of plaintiffs and the "Save Porter Ranch" group against Sempra Energy and its California utility Southern California Gas Company (SoCal) claims the gas was injected underground by SoCal into illegally permitted wells. State laws are similar to federal law and common law actions allow environmental protection to property owners who seek legal help for environmental damage and/or injury. Environmental law protects a citizen when purchasing, improving, leasing, or developing real property with indoor air and water quality hazards. Environmental protection includes lead-based paint, lead, asbestos, radon, sick building syndrome, and mold, as they relate to the sale or lease of real property. Federal environmental law includes the rules and regulations governing the renovation and demolition of buildings and the potential tort liability faced by building owners for personal injuries caused by exposure to any hazardous materials, such as asbestos. Anyone can bring a case to court regarding environmental law, including property damage or bodily injury or damages from someone who is violating environmental law. For example, if someone dumps paint or any hazardous material on your property, you could file a lawsuit that will force them to pay for the cleanup. Citizens can also file an environmental lawsuit against companies or organizations that are violating environmental law. However, if the government or other individuals have already started processes to stop a company or organization from violating environmental law, an individual generally will not be allowed to file a suit. If a business or individual is found guilty of violating environmental law and policy, they could face fines, probation or imprisonment, or all three punishments. Each federal environmental enactment contains specific enforcement provisions usually giving the EPA, or state agencies implementing federal statutes, broad authority to enforce the environmental laws. Enforcement proceedings may be brought at the agency level, administrative level, or in court proceedings. Enforcement provisions may include imposing fines and penalties as well as instituting criminal proceedings. Actions for injunctive relief may also be brought. An action for injunctive relief is an administrative or court proceeding in which the defendant is ordered to cease an activity that violates an applicable statute or regulation, or to take action to comply with legal standards and requirements. Some environmental enactments imposing obligations on the states in the area of enforcement and regulation include provisions permitting the suspension of certain federal benefits, such as federal highway funding, if the state fails to comply with federal environment law enforcement requirements. Environmental law firms can evaluate cases involving pollution, chemical spills, toxic waste dumping, wetland destruction, land development, solid waste, natural resource usage, wildlife protection and Indian Rights. Some chemical and environmental hazards can lead to serious consumer illnesses and cancers. If you are accusing someone of violating environmental laws, or if you have been accused of violating an environmental law, you should seek help from an environmental lawyer who will advise you on how to proceed with your case. If you are an individual or group with an environmental issue, you will need the help of qualified environmental lawyers. It is important that you find an experienced environmental lawyer to handle your case. LawyersandSettlements makes it easy for you to find the right environmental attorney. We work with attorneys throughout the US and Canada who practice in this specialized area. As well, LawyersandSettlements.com provides comprehensive environmental news coverage that aims to keep the public informed. We provide an online legal news source that includes interviews with environmental attorneys. Lead Poisoning Lawsuit alleging that serious damage is done to children who have injested or been exposed to lead. Asbestos Mesothelioma Studies have shown that asbestos particles in the air can cause mesothelioma, lung cancer, and lung disease asbestosis, and many former and all new uses of asbestos in the U.S. have been banned. New Evidence Reopens Scotts Turf Builder Mesothelioma Lawsuit Trenton, NJ Environmental law has become better at protecting consumers from asbestos exposure in recent decades. But mesothelioma has a very long latency period, sometimes as long as 50 years. The plaintiff’s case in many asbestos mesothelioma lawsuits depends on finding very old samples of the product implicated in exposure. That’s tough, especially when those samples tend to be in the possession of the defendant. On..
Free case evaluations for bad drugs, defective products and devices, vehicle accidents, long term care and disability insurance. You may have an environmental case. You may receive money for your suffering. Click on the link below to send your complaint to a lawyer whom will evaluate your claim at no cost or obligation.